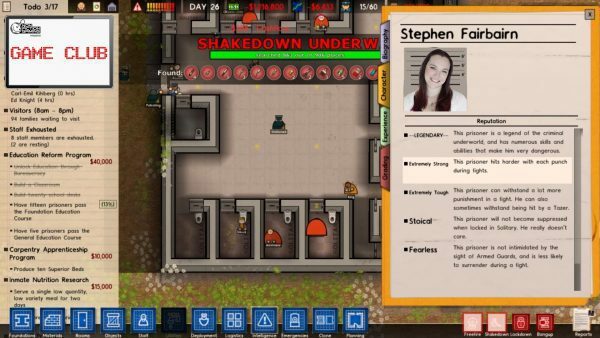 It’s time to get tough on crime in Prison Architect. Catherine is back this week as we build to maximum security in the 12th episode of the podcast. Can Dan handle the solitary? Does Charles rule with an iron fist? 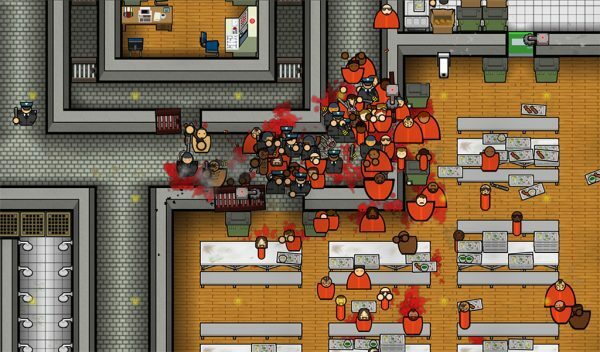 Listen and discuss the Game Club game of the week: Prison Architect. 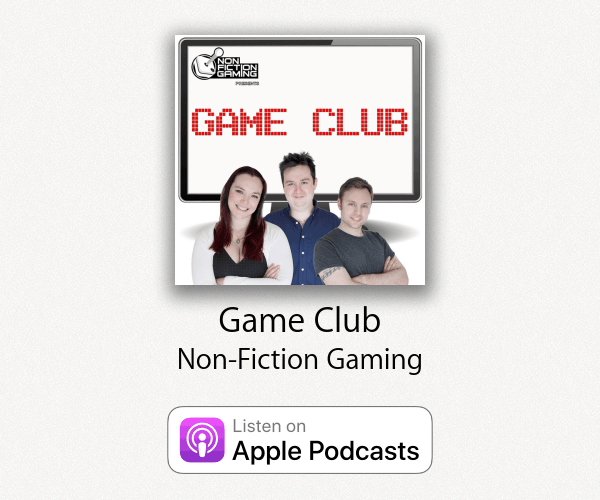 Show your thanks to Non-Fiction Gaming for this episode by becoming a Non-Fiction Gaming Patron at Patreon.com/nfglive. 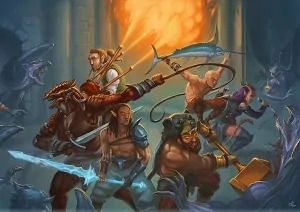 It will help ensure Game Club continues far into the future! Babysitting for my sisters kids, pulled out the Wii U. Turns out the console is successful at one thing. Back into Guild Wars 2 – New expansion coming out soon. Got invited to partake in a Gaming Marathon for charity. Dan’s interview with Rule & Make. 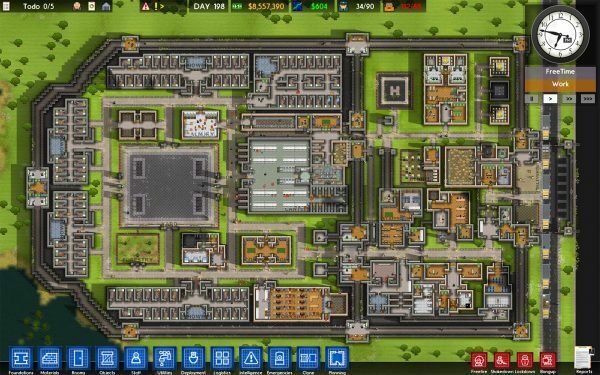 Prison Architect is a private prison construction and management simulation video game developed and published by Introversion Software. The campaign with the polaroids and stuff was fun. I want some more of that at all times. You’ll sink hours into the sandbox mode, be sure to active the random events option. Will you reform or punish? In the game, the player controls “the Kid” as he moves through floating, fantasy-themed environments and fights enemies of various types. It features a dynamic voice-over from a narrator, and is presented as a two-dimensional game with an isometric camera and a hand-painted, colourful art style. 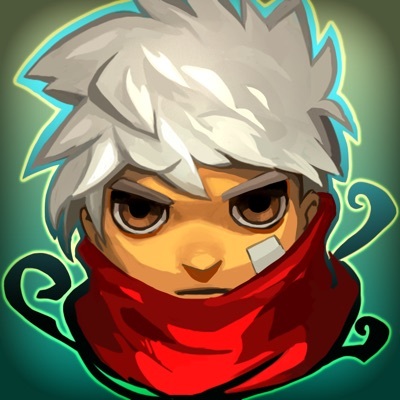 Bastion’s story follows the Kid as he collects special shards of rock to power a structure, the Bastion, in the wake of an apocalyptic Calamity.